Avul Pakir Jainulabdeen Abdul Kalam usually known Dr. A. P. J. Abdul Kalam, was the 11th President of India, serving from 2002 to 2007, he is one of the few presidents who have touched the hearts thats why during his term as President, he was popularly known as the People's President. In India he is highly respected as a scientist and as an engineer. He is popularly known as the Missile Man of India for his work on development of ballistic missile and space rocket technology. Stories of extreme hardship, braving impossible odds and innumerable sacrifices, abound in the lives of nearly 90 percent of the students in the country. But among them, some perform exceptionally well. Their academic laurels are so brilliant, that at times their CV looks intimidating. And each one acknowledges that it's the right education that made them what they are today. Several months back, after finishing an interview with Dr APJ Kalam, and just before leaving his Rajaji Marg residence he made me repeat these three words in a schoolteacher's tone: perseverance, hard work and patience. This, he said, was alone the path to progress. Later, much later, I realised, that those were the very words he's lived by all through his life. They are both philosophical and practical, quite like the world he grew up in as a boy in the island town of Rameswaran, in south India. His father, a humble boat owner, Jainulabdeen, was a devout Muslim and a close friend of the Rameswaran temple priest. Kalam was brought up in a multi-religious, tolerant society; one with a progressive outlook. His father often quoted from the Quran to make the young Kalam see the world without fear. He had seven siblings, and a doting mother who, at times, made chappatis for Kalam, while the others were given rice as Kalam's day would start at four in the morning and end at 11 pm. His father wasn't educated, but he wanted Kalam to study. Kalam would get up at 4 am, bathe, and then go for his mathematics class, which was taught by a teacher who took only five students in the whole session; and bathing before class was a condition he had laid to all his students. After his morning class, Kalam along with his cousin Samsuddin went around town distributing the newspaper. As the town had no electricity, kerosene lamps were lit at his home between 7 pm and 9 pm. But because Kalam studied until 11, his mother would save some for him for later use. Being a bright student, Kalam always had the support of his schoolteachers. Schwarzt High School's Iyadurai Solomon often told Kalam that if he truly, intensely desired something, he would get it. "This made me fearless," said Dr Kalam. And outside school, Ahmed Jallaluddin, who later became his brother-in-law, and Samsuddin, encouraged Kalam to appreciate nature's wonders. So at once, while growing up, he was exposed to a religious and a practical way of looking at the world. The flight of birds had fascinated him since he was a boy, but it was years later he realised that he wanted to fly aircrafts. After finishing school, he took up Physics at St Joseph's College, Trichi, but towards the end he was dissatisfied. When he discovered aeronautical engineering, he regretted having lost three precious years. But he was glad to have discovered Leo Tolstoy, Thomas Hardy and F Scott Fitzgerald and other English poets in his college years. At Madras Institute of Technology (MIT), Chennai, where Kalam studied aeronautics, he learnt an important lesson: the value of time. He was leading a project on system design, when one day the principal walked into the class to see his work. He appeared dissatisfied and told Kalam that he wanted the project finished in the next two days; else his scholarship aid would be withdrawn. That unsettled Kalam; years of his father's hardships would come to naught. Kalam worked without food and sleep. On the last day, his professor came to check on his progress. He was impressed and said: "I was putting you under stress and asking you to meet a difficult deadline," recounted Dr Kalam. Although Kalam has led several projects in his professional life, he's treated each like his last. Such was his passion. No wonder, he's always led projects. His advisor, Major General R Swaminathan explained Kalam's success as a leader. "He has this unique capability of being a boss as well as a worker. He can take on any role with ease." When Dr Kalam's first major project SLV 3-failed the first time he was almost shattered. Also, around this time, Kalam's childhood mentor, Jallaluddin, died. "A part of me too passed away..." said Dr Kalam. But he never thought of quitting after SLV-3. "I knew that for success, we have to work hard and persevere." And so, SLV-3 was launched again, this time with success. He drew strength from philosophy, religion and literature to tide by his professional setbacks; also a life with few companions. In time, he also learnt to deal with professional jealousy and uncooperative team members. Kalam played a pivotal organisational, technical and political role in India's Pokhran-II nuclear test in 1998, the first since the original nuclear test by India in 1974. He is chancellor of Indian Institute of Space Science and Technology (Thiruvanthapuram), a professor at Anna University (Chennai) and adjunct/visiting faculty at many other academic and research institutions across India. Success followed Dr Kalam. Prithvi, Agni, Akash, Trishul and Nag missiles were huge successes. He was awarded the Padma Bhushan and Bharat Ratna, and then he became the President of India; one of the few presidents who have touched the hearts of so many poor children in the country. Because he also came from a poor background, he knew the power of education in changing one's future. One day, one scientist came to his boss and told him – Sir, I have promised to my children that I will take them to the exhibition going on in our township. So I want to leave the office at 5 30 pm. His boss replied “OK, You’re permitted to leave the office early today”. The Scientist started working. He continued his work after lunch. As usual he got involved to such an extent that he looked at his watch when he felt he was close to completion. The time was 8.30 PM. Suddenly he remembered of the promise he had given to his children. The situation was explosive, any talk would boomerang on him. His wife asked him “Would you like to have coffee or shall I straight away serve dinner if you are hungry. The man replied “If you would like to have coffee, I too will have but what about Children ? ?” .Wife replied “You don’t know?? , Your manager came here at 5.15 PM and has taken the children to the exhibition “. #WALKIN_ALERT : Huawei hiring Freshers for Development profile! #Note :- IF having good command in Java / c programming then Must attend !  Elitimus score is not mandatory but if having more than 80% then will be preferred. Required Android Developer in the Mobile Application Division of Huawei Technologies India Pvt. Ltd.. We are looking for people who have prior Android application development experience/training. Strong communication, analytical and problem solving skills. Quick Learner & Good in Presentation Skills. Opening in Manhattan Associates for Dot Net Developers. Anyone interested can drop a mail with resume @ amitsingh@manh.com. We are testing and development company , more into CRM and Android games development, we are now starting our Bangalore branch and we are looking for engg fresh graduates. For more details about our projects have a look into the company portal. - Should have good knowledge on testing and completed training on Testing . - Software Developers in Java, J2EE and Web application development domain. - Designing, coding and debugging and maintenance of Java, J2EE application systems. Salary: up to 25k per month best in the industry. For interview schedule please email your resume to the below given email id. • Experience with Mootools and Prototype is preferred. • Expertise in HTML 5, CSS,XML,Json. • Previous experience with PHP Zend Framework. • Comfortable programming from scrath, not dependent on Framework. • Knowledges on Digital Video Ad Serving Template ( Vast ). Understanding of Design Patterns, J2EE components (EJB, JSP, Servlets), and XML. Knowledge of frameworks like Hibernate, spring, JPA, SOAP/ REST. 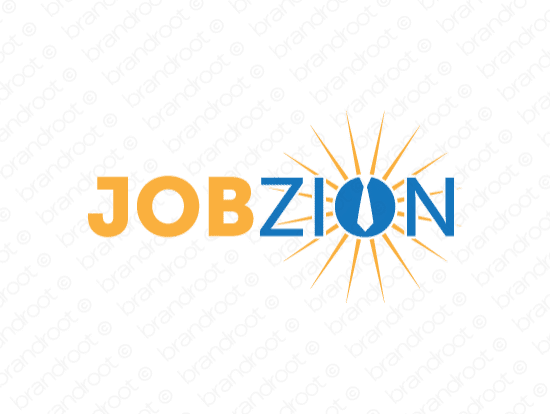 #Referral_Job_Alert : Fiserv India hiring 2016 fresher! Interested candidates Please send your profile to avinash.chalke@fiserv.com By 16 Dec 2016. 5. Client reported Bugs testing. 9. Coordination in Project Management. 2. Thorough knowledge and mastery of all Testing Concepts. 3. Thorough knowledge of STLC. 4. Good Written and Spoken English Language. 1. Education – Bachelors or Master’s Degree in Engineering / Computer Applications. 2. Experience – 0 to 1 years’ experience. 3. Professional Course – A Post Degree Professional Course inTesting is a MUST. We shall not recruit without the candidate having attended a Testing Course. 4. Project Experience – A hands on experience in a Testing Project is a MUST. Candidate should necessarily have undergone practical hands on training on Testing in a live project. 5. Desired soft skills – Commitment, dependability, team work,Consistency, Ability to withstand pressure on tight deadline projects, Client Management under tough conditions, Punctuality, Disciplined, Ethical behaviour, delivering as per client deadlines. Round4 – Test Case writing on JSM Software product. Round 5 – A Sample exercise on JSM Software Product.Round 6 – Final Top Management Interview. Round 7 – Final HR Round and Finalisation of Employment terms and conditions. Email Resume If you are interested in the above position and are willing to commit as per service tenure given above please email your resume to hrd@jsmtechnologies.com. Note:Please mention Manpower requisition code (available on starting of this post) in the subject of the mail. 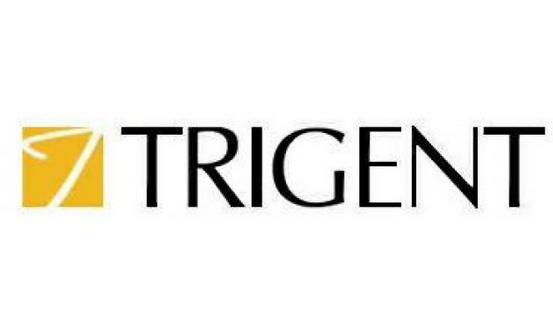 #Trigent Software Walk-In For Freshers As Support Engineers On 12-16 Dec 2016 @ Bangalore. Contact Person : Sripriya R.
"If we think of giving up trying,we will never get to see the success. There are times when we wanted to give up, but with perseverance, we can overcome them and eventually attain success." Always remember, "When you are wasting time, someone is working at the same time and the day you compete with that person, you will lose"
Ques.1. What is database testing? Ans. Database testing is checking the integrity of actual data in the front end with the data present in the database. It involves validating the data in the database, checking that there are no orphan records (record with a foreign key to a parent record that has been deleted"), no junk records are present, updating records in database and verify the value in the front end. Ans. An RDBMS or Relational Database Management System is a type of DBMS having relationships between the tables using indexes and different constraints like primary key, foreign key etc. The use of indexes and constraints helps in faster retreival and better management of data within the databases. Ques.3. What is the difference between DBMS and RDBMS? Ans. The primary difference between DBMS and RDBMS is, in RDBMS we have relations between the tables of the database. Whereas in DBMS there is no relation between the tables(data may even be stored in files). RDBMS defines integrity constraints in order to follow ACID properties. While DBMS doesn't follow ACID properties. Ques.4. What is a database? Ans. A database is a structured collection of data for faster and better access, storage and manipulation of data. A database can also be defined as collection of tables, schema, views and other database objects. Ques.5. What is a table? Ans. Tables are the database object that are used for storing related records in the form of rows and columns. Ques.6. What is field in a table? Ans. A field is an entity used for storing a particular type of data within a table like numbers, characters, dates etc. Ques.7. What is a tuple, record or row in a table? Ans. A tuple or record is an ordered set of related data item in a table. Ans. SQL stands for Structured Query Language, it is an language used for creating, storing, fetching and updating of data and database objects in RDBMS. Ques.9. What are the different types of SQL commands? Ques.10. Explain DDL commands. What are the different DDL commands in SQL? Ques.11. Explain DML commands. What are the different DML commands in SQL? Ans. DML refers to Data Manipulation Language, it is used for managing data present in the database. Some of the DML commands are-select, insert, update, delete etc. Ques.12. Explain DCL commands. What are the different DCL commands in SQL? Ques.13. Explain TCL commands. What are the different TCL commands in SQL? SAVEPOINT - Savepoints are the breakpoints, these divide the transaction into smaller logical units which could be further roll-backed. ROLLBACK - Rollbacks are used to restore the database since a last commit. Ques.14. What are SQL constraints? Ans. SQL constraints are the set of rules that impose some restriction while insertion, deletion or updation of data in the databases. In SQL we have both column level as well as table level constraints which are applied at columns and tables respectively. Some of constraints in SQL are - Primary Key, Foreign Key, Unique Key Key, Not NULL, DEFUALT, CHECK and Index constraint. Ques.15. What is a Unique constraint? Ans. A unique constraint is used to ensure that the field/column will have only unique value(no duplication). Ques.16. What is a Primary Key? Ans. A primary key is a column or a combination of columns which uniquely identifies a record in the database. A primary key can only have unique and not NULL values and there can be only one primary key in a table. Ques.17. What is the difference between unique key and primary key? Ans. A unique key allows null value(although only one) but a primary key doesn't allow null values. A table can have more than one unique keys columns while there can be only one primary key. A unique key column creates non-clustered index whereas primary key creates a clustered index on the column. Ques.18. What is a composite key? Ans. A composite key is a primary key with multiple columns as in case of some tables a single field might not guarantee unique and not null values, so a combination of multiple fields is taken as primary key. Ques.19. What is a NULL value? Ans. A NULL value in SQL is an unknown or blank value. Since NULL is unknown value so, NULL value cannot be compared with another NULL values. Hence we cannot use '=' operator in where condition with NULL. For this, we have IS NULL clause that checks if the value in field is NULL or not. Ques.20. What is a Not Null constraint? Ans. A Not NULL constraint is used for ensuring that the value in the field cannot be NULL. Ques.21. What is a Foreign Key? Ans. A foreign key is used for enforcing referential integrity in which a field marked as foriegn key in one table is linked with primary key of another table. With this refrential integrity we can have only the data in foreign key which matches the data in the primary key of the other table. Ques.22. What is a Check constraint? Ques.23. What is a Default constraint? Ans. A Default constraint is used for providing a default value to a column when no value is supplied at the time of insertion of record in the database. Ques.24. What is a clustered index? Ans. Clustered indexes physically sort the rows in the table based on the clustering key(by default primary key). Clustered index helps in fast retrieval of data from the databases. There can be only one clustered index in a table. Ques.25. What is a non-clustered index? Ans. Non clustered indexes have a jump table containing key-values pointing to row in the table corresponding to the keys. There can be multiple clustered indexes in a table. Ques.26. What is the difference between delete, truncate and drop command? Ques.27. What are the different types of joins in SQL? Inner Join - To fetch rows from two tables having matching data in the specified columns of both the tables. Ques.28. What is the difference between cross join and full outer join? Ans. A cross join returns cartesian product of the two tables, so there is no condition or on clause as each row of tabelA is joined with each row of tableB whereas a full outer join will join the two tables on the basis of condition specified in the on clause and for the records not satisfying the condition null value is placed in the join result. Ques.29. What are difference between having and where clause? Ques.30. What is the difference between Union and Union All command? Ans. The fundamental difference between Union and Union All command is, Union is by default distinct i.e. it combines the distinct result set of two or more select statements. Whereas, Union combines all the rows including duplicates in the result set of different select statements. Ques.32. What is a View in SQL? Ans. A view is virtual table, it is a named set of SQL statements which can be later referenced and used as a table. Ques.33. Can we use 'where' clause with 'groupby'? Ans. Yes, we can use 'where' clause with 'groupBy'. The rows that doesn't meet the where conditions are removed first and then the grouping is done based on the groupby column. Ques.34. What is Database Normalisation? Ans. Database normalisation is the process of organisation of data in order to reduce the redundancy and anamolies in the database. We have different Normalisation forms in SQL like - First Normal Form, Second Normal Form, Third Normal Form and BCNF. Ques.35. Explain First Normal Form(1NF). Ans. According to First Normal Form a column cannot have multiple values, each value in the columns must be atomic. Ques.36. Explain Second Normal Form(2NF). Ans. For a table to be considered in Second Normal Form, it must follow 1NF and no column should be dependent on the primary key. Ques.37. Explain Third Normal Form(3NF). Ans. For a table to be Third Normla Form, it must follow 2NF and each non-prime attribute must be dependent on primary key of the table. Ques.38. Explain Boyce and Codd Normal Form(BCNF). Ans. BCNF is the advanced or stricter version of 3NF. Ques.39. What are transactions in SQL? Ans. Transaction is a set of operations performed in a logical sequence. It is executed as a whole, if any statement in the transaction fails, the whole transaction is marked as failed and not committed to the database. Ques.40. What are ACID properties? Atomicity - All the operations in the transaaction are performed as a whole or not performed at all. Consistency - State of database changes only on successfull committed transaction. Isolation - Even with concurrent execution of the multiple transactions, the final state of the DB would be same as if transactions got executed sequentially. In otehr words each transaction is isolated from one another. Durability - Even in the state of crash or power loss the state of committed transaction remain persistent. Ques.41. What are locks in SQL? Ans. Locks in SQL are used for maintaining database integrity in case of concurrent execution of same peice of data. Ques.42. What are the different types of locks in database? Shared locks - Allows data to be read-only(Select operations), prevents the data to be updated when in shared lock. Update locks - Applied to resources that can be updated. There can be only one update lock on a data at a time. Exclusive locks - Used to lock data being modified(INSERT, UPDATE, or DELETE) by one transaction thus ensuring that multiple updates cannot be made to the same resource at the same time. Intent locks - A notification mechanism usinh which a transaction conveys that intends to acquire lock on data. Bulk Update locks - Used in case of bulk operations when the TABLOCK hint is used. Ques.43. What are aggregate functions in SQL? Ques.44. What are scalar functions in SQL? SUBSTRING() or MID() - MID and SUBSTRING are synonyms in SQL. They are used to extract a substring from a string by specifying the start and end index. Syntax - SUBSTRING(ColumnName,startIndex,EndIndex). Ques.45. What is a coalesce function? COALESCE(NULL, NULL, 5, 'ArtOfTesting') will return the value 5. COALESCE(NULL, NULL, NULL) will return NULL value as no not NULL value is encountered in the parameters list. Ques.46. What are cursors in SQL? Ans. Cursors are objects in SQL that are used to traverse the result set of a SQL query one by one. Ques.47. What are stored procedures? Explain there advanatages? Ans. Stored procedures are SQL procedures(bunch of SQL statements) that are stored in the database and can be called by other procedures, triggers and other applications. Stored procedures improve performance as the procedures are pre-compiled as well as cached. Make queries easliy maintanable and reusable as any change is required to be made at single location. Reduce network usage and traffic. Improve security as stored procedures restrict direct access to the database. Ques.48. What are triggers in SQL? Ques.49. What are orphan records? Ans. Orphan records are the records having foreign key to a parent record which doesn't exist or got deleted. Ques.50. How can we remove orphan records from a table? Ans. In order to remove orphan records from database we need to create a join on the parent and child tables and then remove the rows from child table where id IS NULL. We are hiring for the position of an Associate System Engineer. In the role, the Employee focuses on individual/team objectives and development of professional effectiveness. Will design Applications, write Code, test, debug and maintain Software Applications across various platforms and technologies. We are looking for exceptional candidates who are enterprising, have good interpersonal skills, have the ability to operate in large teams that work closely with clients. They must also have sound time management skills, ability to handle multiple tasks, prioritize and deliver on time. Excellent communication skills, a passion to learn and apply technical prowess to solve Client problems are a must. Those who are eligible please comment your "First Name", "Last Name" and "Email ID" . 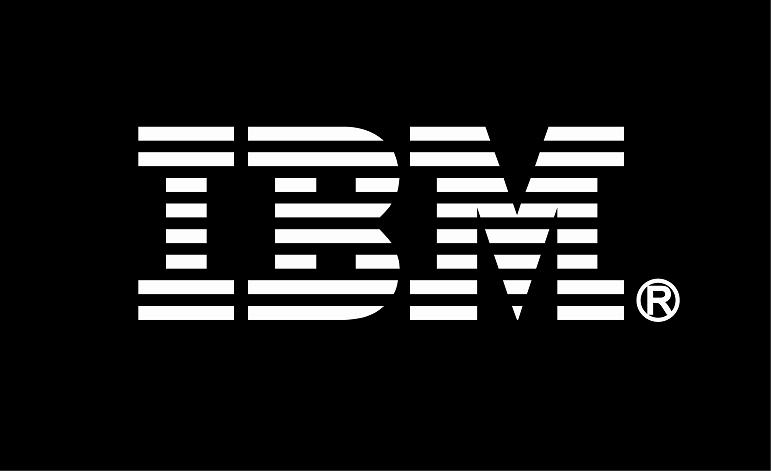 So We will refer all of you and if you having any referrer in IBM then you can get reference from there also. A guy who got into IIT and Google.